Have you ever been playing a dungeon crawler, and wished you could just stop all the killing for a moment and take your sword out on a date? I’m clearly not the only person with such thoughts, because that’s the premise for Boyfriend Dungeon, a new game being developed by Kitfox Games. It’s described as a “shack-and-slash game” *snigger*, which seems accurate. The announcement trailer shows players exploring isometric dungeons and fighting monsters in real-time, with the goal of rescuing weapons from the captivity of lockboxes. In their human form, you can talk and flirt with them, and in their weapon form, you can “equip your love” and go dungeon crawling together. Three characters have been revealed so far: a talwar called AJ, an epee called Isaac, and dagger called Valeria. Yes—despite the “Boyfriend” title, it looks like romance options aren’t limited to just men, and the announcement cites an “inclusive, tasteful approach to gender and sexuality” as one of the game’s features. It’s not due out until 2019, but this will definitely be a game to keep an eye on. The official title is Star Ocean - The Last Hope - 4K & Full HD Remaster, and it’s coming to PlayStation 4 and PC on November 28. It’s a digital-only release through PlayStation Store and Steam, priced at US $20.99, and there’ll be a 10 per cent discount for PlayStation Plus members and on Steam until December 12. Additionally, anyone who buys the game on Steam before December 12 will get a mini downloadable soundtrack, and anyone who buys it from PlayStation Store before January 8 will get an exclusive PS4 theme and 12 avatars. 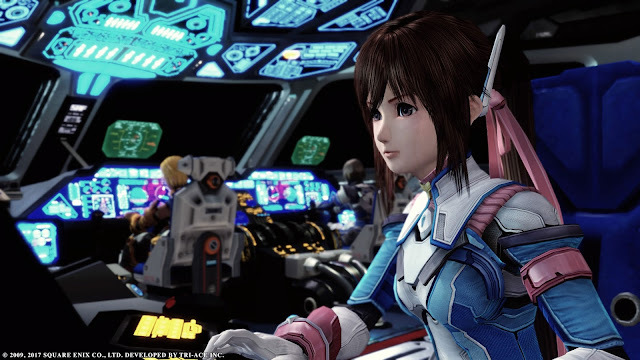 Star Ocean: The Last Hope originally came out in 2009 as an Xbox 360 exclusive, before getting a director’s cut of sorts for PS3 in 2010, called Star Ocean: The Last Hope International. It’s a prequel to the rest of the Star Ocean games, taking place a few centuries prior to the original Star Ocean. Star Ocean: The Second Story—the best game in the series, don’t @ me—already got ported to PS4 in Japan a couple of years ago. Hopefully, if Star Ocean 4K does well enough, Square Enix will see fit to localise that game as well. Here at DigitallyDownloaded.net, we love visual novels. 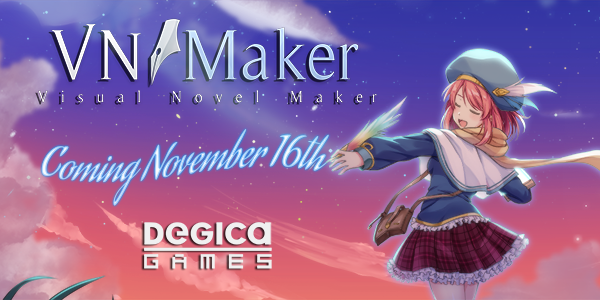 We also love the idea of making visual novels, and anyone else in the same boat will be looking forward to the launch of Visual Novel Maker for PC on November 16, courtesy of Degica Games. Visual Novel Maker is similar in style to RPG Maker, with a full drag-and-drop interface to make it easy to quickly pull together a game without any coding knowledge. It comes bundled with stock assets: 11 characters with customisable outfits and expressions, 150+ backgrounds, music, and sound effects. They’re all free to use, but you can also import your own to give your game a more custom look. Additionally, the engine supports Live2D, an animation system for giving 2D hand-drawn animation 3D movement effects. For more advanced users, Visual Novel Studio comes with scripting support to add and edit functions to their game, as well the ability to add extensions to the editor itself. This potentially makes it a powerful engine, giving developers ways to create visual novels that employ other mechanics beyond just the standard dialogue choices. 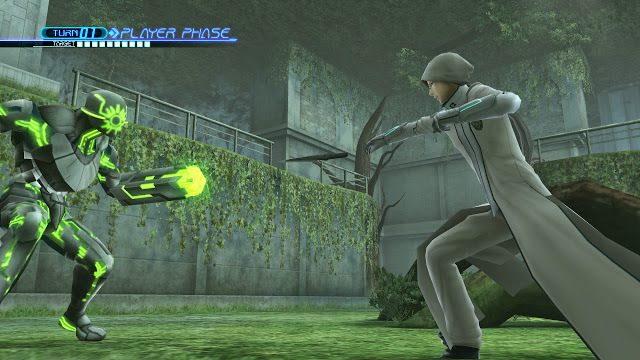 Lost Dimension is one of those very forgotten JRPGs from the PlayStation 3 era. Released late, it came and left without making a huge splash, but hopefully the PC port of the game, being handled by Ghostlight, gets the game the look-in that it so keenly deserves. The game releases on October 30, for $24.99 US, though in the launch window there will be a massive 40 per cent off the game. That's right, it's just eight days away! What is Lost Dimension? It's a turn based tactics JRPG with a really interesting and intelligent hook; in your band of heroes, there are traitors, so not only do you need to work your way through the game's combat, but you'll also need to deduce who the traitor is and have them exposed via Danganronpa-like trials. You can check out our review of the game here, but in the meantime, be sure to keep an eye on this one as it releases. It might be niche, but the people that do play it tend to love its vision and just how different it all is.